Sony has finally announced the complete list of all the PlayStation Classic titles that will come with the diminutive system, and it's pretty impressive. After the initial five titles confirmed for the PlayStation Classic in September included Final Fantasy VII, Jumping Flash, Ridge Racer Type 4, Tekken 3, and Wild Arms, people began speculating about what all it would eventually included. The official PlayStation Blog confirmed that additional games would indeed be announced at a later date, and now it's all out in the open. If you want to keep it a secret and see what's waiting for you when you actually get the product, better stop reading now. For anyone else, continue reading on. Ready to ruin the surprise? Here's the full list of all 20 games up for grabs on the system. Overall, it's a solid list, though there are a few glaring omissions, like Parasite Eve. You'll have to pick up the Japanese version of the system if you want that. Curiously, Dino Crisis is missing as well, along with a suite of other important PlayStation titles – PaRappa the Rapper, for one. Let's not pretend that this thing won't eventually be moddable somehow, though, so we'll probably be seeing lots of creative folks adding their own games to it in the future. 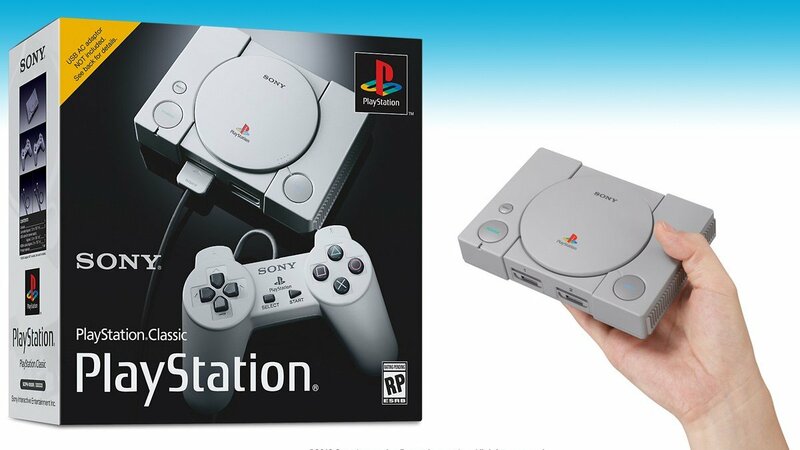 The PlayStation Classic will be 45 percent smaller than the original console and will include two normal-sized (non-DualShock) PlayStation controllers, a USB cable, HDMI cord, and virtual memory card for you to save your games. It will cost $99, though it looks like pre-orders are pretty well sold out everywhere by now. Be sure to check out the official PlayStation Classic Shacknews wishlist, where the team got together to write up a list of games we all wanted to see on the system itself. Looks like we got quite a few right after all!